And let’s be honest, one of the best foods an athlete can consume. 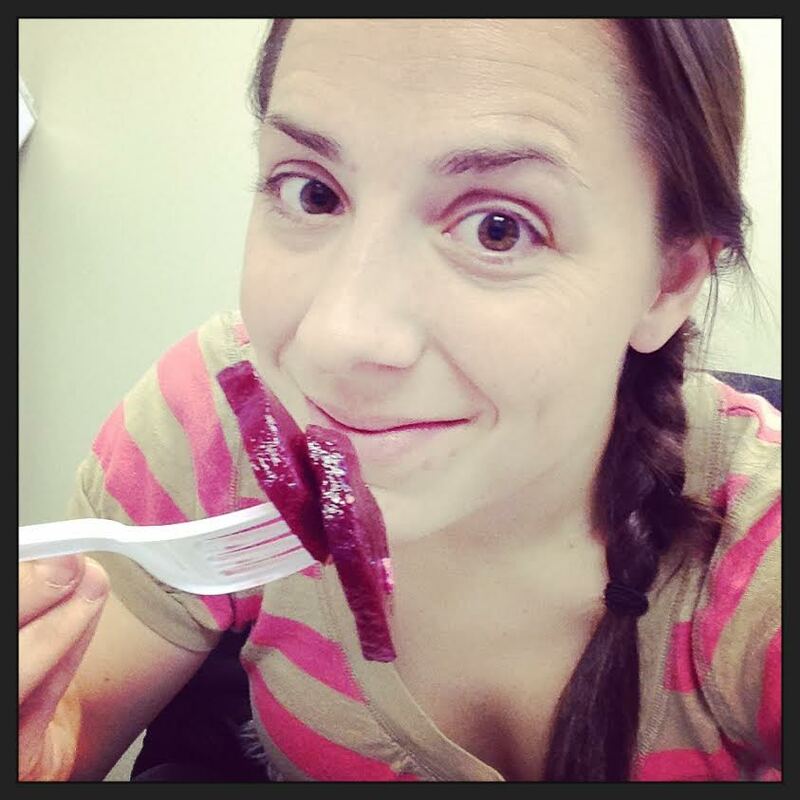 Perhaps I am biased, but beets provide so much more to our diet than we think. The purpose of the beet is to not magically turn our pee pink! As a runner and dietitian, I do get a lot of backlash about my diet. “Why are you eating that?”…”Is that really going to help your performance?”…”Why do you do that when you run?”…all of those questions. Yeah, I get it, but I am still a professional and RDs know a LOT!…much more than what you can read in a magazine or here from your friends. I think its important to feature this food first….its sooooo the veggie left in the dust! It falls into that “has calories” bucket of veggies, so it is judged immediately, but really, there is so much more to it. When considering basic nutrition, beets contain calcium, copper, folate, iron, manganese, magnesium, phosphorus, potassium, tryptophan, vitamin A, vitamin C, and fiber. If you can come up with one reason why this veggie should be shamed to the side of your plate, I would love to know! They are jam-packed not only for just anyone, but the athlete in particular. You are probably thinking, “but they taste horrible!” … but WAIT! There are solutions to this nonsense you speak of. You can juice your beets. Remember: cold press is best! Your juice will retain way more nutrients. Beet juice (or beets as a whole) aids circulation, aids the kidneys, builds red blood cells, provides energy, helps fight infection, protects against birth defects, stimulates the function of liver cells, and renews minerals in the body. There are more. Trust me. If you are not an athlete, have abeet daily for the nutrition, OR for all of these other reasons…it is a hangover cure, the food of love, helps mood, and provides sugar. YES! Sugar! You need it kids, stop thinking you don’t. Beets have a high concentration of sugar that is released slowly into the body. So if you are an athlete, these are all great things to benefit from, but you get even more! There is much research being conducted (past and present) on if beetroot can improve performance. Basically, long story short, beetroot is jammed packed full of nitrate – this is what is converted into nitric oxide. If you are familiar with supplements given to help endurance, you know that nitric oxide increases blood flow to the muscles, which makes it easier to produce energy!!! BUT the difference…this is jam-packed with other nutrients, its legal, and it can used in so many incredible recipes. I could go on and on about this! Basically, beets allow for the uptake of oxygen and production of red blood cells which we need as athletes to perform well. Consider the power of beets….for me as an endurance athlete – pink is the new green.